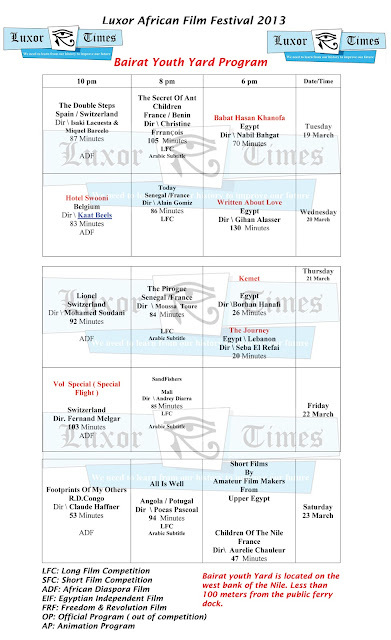 Luxor African Film Festival on its second year will be held from 18th to 24th March 2013. 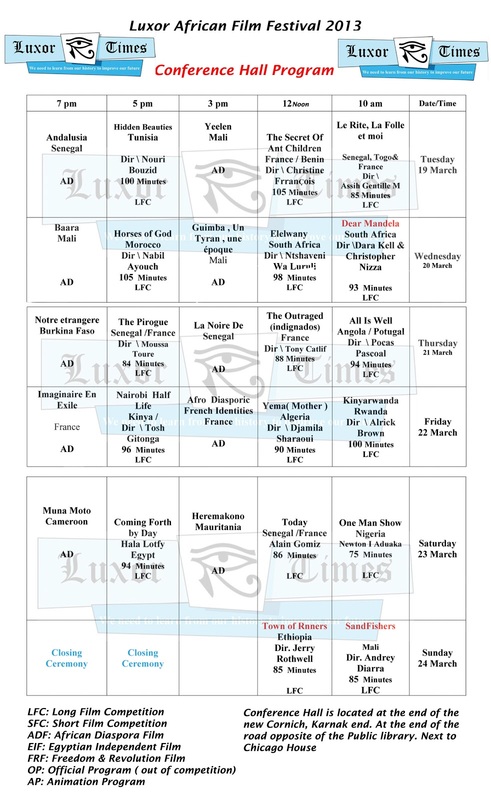 The original date was supposed to be 15th till 24th of March but according to financial issues the opening date was delayed till 18th March 2013. 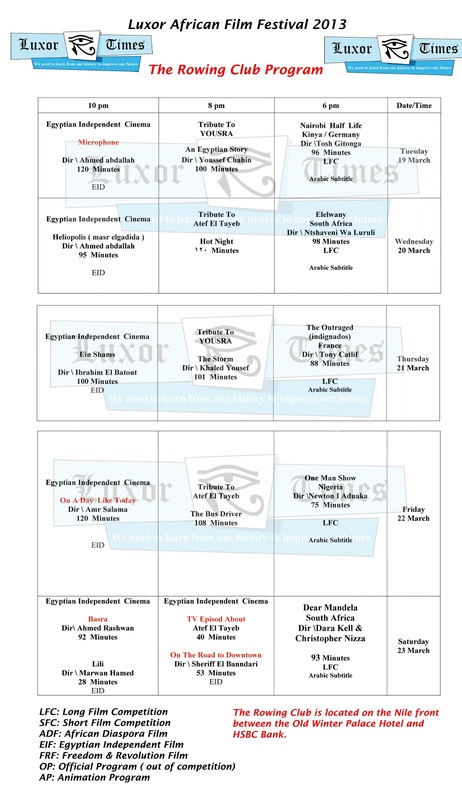 The films will be screened in 4 different venues. The programs below show the program for each venue and where it is located. Follow us during the festival for daily coverage of the activities. 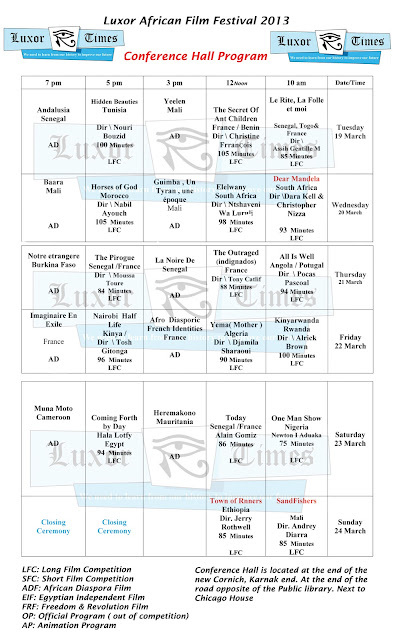 Click on any of the programs below for bigger size viewing.